Isononyl isononanoate is a synthetic ingredient used in cosmetics and personal care products as an emollient, texture enhancer, and plasticizer. Nonanoic acid, also known as pelargonic acid, is a fatty acid composed of a nine-carbon chain terminating in a carboxylic acid. It is a clear, oily liquid that is nearly insoluble in water, but very soluble in chloroform, ether, and hexane. Nonanoic acid is used as an herbicide to prevent growth of weeds both indoors and outdoors. It is typically combined with glyphosate, a non-selective herbicide, for a quick burn-down effect in the control of weeds in turfgrass. The esters and salts of nonanoic acid are called nonanoates, hence isononyl isononanoate. The esters of nonanoic acid occur naturally in the oil of pelargonium, a genus of flowering plants which includes about 200 species of perennials, succulents, and shrubs, commonly known as geraniums. Pelargonium are native to temperate and tropical regions of the world, with many species in southern Africa. These plants are drought and heat tolerant, but can tolerate only minor frosts. Isononyl isononanoate can also be synthetically produced by esterification of isononyl alcohol and isononanoic acid. This ingredient exerts many unique characteristics including extremely low freeze point, low viscosity, and excellent solubility and compatibility in a variety of ingredients such as esters, volatile silicones, mineral and vegetable oils. Isononyl isononanoate is typically used at concentrations ranging from 2 to 10%. 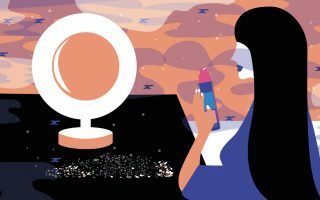 In cosmetics and personal care products, isononyl isononanoate functions as an emollient, texture enhancer, and plasticizer. 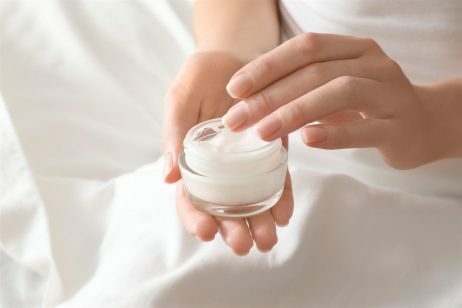 As an emollient, isononyl isononanoate is often found in creams, lotions, and facial moisturizers. Emollients work to soften and soothe the skin while also acting as occlusive agents. Upon application, occlusive agents form a protective film on the surface of skin, which helps to prevent evaporation of the skin’s natural moisture. Over time, this increases skin hydration by causing buildup of water in the stratum corneum (the uppermost layer of skin). These same emollient properties make isononyl isononanoate an ideal ingredient for hair care products. It forms a smooth, even film on the surface of the hair that provides increased slip between adjacent hair strands, which makes detangling easier. Isononyl isononanoate further reduces tangling by smoothing and flattening the cuticle surface, which can also add shine and gloss to the hair. It leaves the hair feeling soft and silky without weighing it down or making it feel greasy. As a texture enhancer, isononyl isononanoate offers superior spreadability and a very dry touch. It gives skin care products a distinctive velvety feel. Furthermore, isononyl isononanoate acts as a replacement for volatile silicones in antiperspirants where it reduces tackiness and prevents clogging in aerosols. Lastly, isononyl isononanoate functions as a plasticizer. According to Cosmetics Info, plasticizers are materials that soften synthetic polymers by reducing brittleness and cracking. Plasticizers are useful for cosmetic products such as nail polishes, glosses, and shampoos. The United States Food and Drug Administration (FDA) includes nonanoic acid on the list of food additives (synthetic flavoring substances and adjuvants) permitted for direct addition to food for human consumption. The safety of nonanoic acid and its esters, including isononyl isononanoate, has been assessed by the Cosmetic Ingredient Review (CIR) Expert Panel. The Panel reviewed data that indicated that nonanoic acid is not genotoxic or a reproductive or developmental toxicant. At concentrations of 12% and less, nonanoic acid is not a dermal irritant. Furthermore, since nonanoic acid does not readily penetrate the skin, it is not a sensitizer. After evaluating the scientific data, the Panel concluded that these ingredients were safe for use in cosmetics and personal care products. The Panel noted that nonanoic acid and its esters may increase the dermal penetration of other ingredients.Therefore, the Panel cautioned that care should be taken in formulating cosmetic products that contain these ingredients in combination with other ingredients for which dermal absorption was a concern. References: Wikipedia, “Nonanoic Acid”, Wikipedia, “Pelargonium”, Cosmetoscope, “Isononyl Isononanoate”, 2017, Naturally Curly, “Hair Moisturizer vs. Emollients”, 2013, Cosmetics Info, “Isononyl Isononanoate”, Int J Toxicol. 2012, 30(6) 228S-269S.